By raising the drawbridge in the face of desperate refugees and succumbing to bigotry and hatred, the EU’s utopian ideals are being abandoned for a dystopian reality. 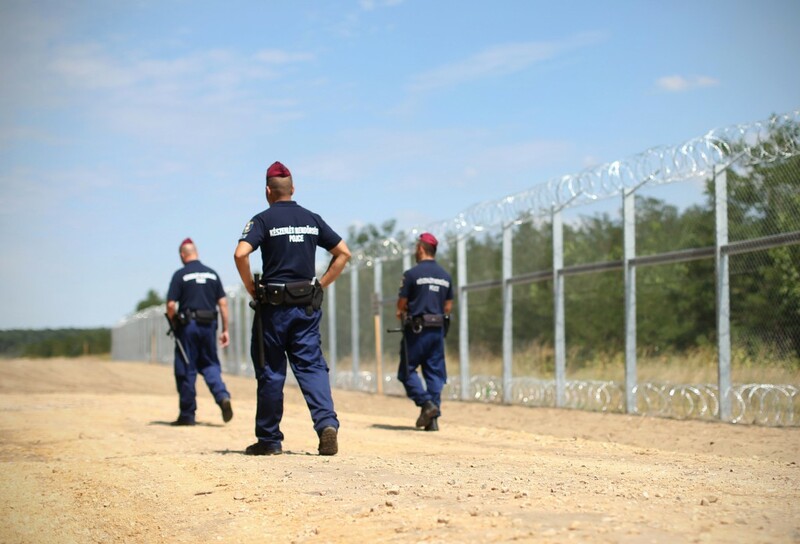 When Slovenia’s army began to erect a barbed-wire fence on its border with Croatia in November 2015, almost a decade had passed since that historic day when the former Yugoslav republic was admitted into the European Union. During this period, we had become accustomed to the wonderful fact that there were no borders within the EU – at least not of the visible kind. Despite the savage quickening of the economic, financial, social and political crisis, free travel all over Europe had become a matter of great simplicity. It was something one could count on, something that almost went without saying. And so we only started to debate this entire business of borders, fences, barbed wire and “the strengthening of Europe’s external borders” when these outer frontiers were already in great peril. But contrary to popular belief, that peril didn’t really come from the refugees and economic migrants who started pouring in on a large scale in 2014 and 2015. In fact, the refugees and the migrants were the ones who, by breaking through the physical frontiers, were making clear that Europe’s borders had never been truly eliminated. Quite the contrary. The more the old continent had been opening up internally, the more it had been beefing up its outer ramparts. And so, slowly but inexorably, a thing some of us like to call Fortress Europe had been born – this enormous yet infinitely fragile and self-obsessed ivory tower… And the more fragile and self-obsessed it became, the more removed from its lofty freedom-loving ideals its immediate future had become. And in 2015, that immediate future had finally merged with the present. The discourse – both in private and in public – was soon radicalised beyond repair. The cankerous genie of the far-right had broken out of its bottle, and its twisted worldview soon became the norm. The differences between Europe’s high castles and “the streets” were soon dissolved. Instead of the alarm that should be ringing out in every house and every soul still clinging to a shred of human decency, all one could hear was a thunderous silence. The core of the entire continent has been radicalised with a ferocity quite unprecedented in modern times. The people of Europe took to acting as if it was quite natural that the incoming refugees should have no names, faces, fates, stories and future. Even worse: we started treating people on the run from war zones as if they were so much nuclear waste; as if we had all been stripped of any semblance of historical memory; as if the entire continent had been living a giant all-pervasive lie, which had clouded our judgment and had left us quite satisfied with this vague and infinitely flimsy idea… An idea that – a quarter of a century after the collapse of the iron curtain – had been thoroughly humiliated by the construction of the two walls on the Hungarian-Serbian and the Slovenian-Croatian borders. As hard as it is to state this out loud, the flood of refugees and terrorism Europe has witnessed in recent years is partly a consequence of its failed foreign, immigration and integration policies. Its neglect of its neighbours in the Middle East and Central Asia, and its neglected immigrant neighbourhoods at home, not to mention the active role a number of European countries have played in fuelling conflict, war and despotism in the Middle East, have blown back in the form of large-scale radicalisation. For the European Union, the crises it is experiencing today are the consequence of decades of living in a bubble, of distancing itself from reality – both within Europe and in its neighbouring regions – while immersing itself ever further into the heartless algorithms of an ever-burgeoning bureaucracy. What happened was the consequence of decades of catastrophic delusions and of failed immigration policies and processes; of our being unable to grasp the realities, let alone confront them or respond to them in a constructive and proactive manner which could result in (at least) our moral distancing from the wars and conflicts in the Middle East and Central Asia. Instead we fuelled them, through our indifference, ignorance, arms exports, ill-conceived military interventions, our favouring of trade over human rights and dignity, our support of dictators and violent, authoritarian regimes. It is little wonder Europe was so quick to adopt the language of war: Europe, after all, had proven quite adept at starting wars while being absolutely awful at putting a stop to them. Given its historical legacy, it is hardly surprising the continent was so quick to renounce its ideals and keel over before the challenges of the present moment. The post-terror developments in Europe are also tragic in their predictability. First, the shutting down of borders, both inwardly and outwardly. Then the “Americanisation” of our security and the systematic creation of fear. The rapidly escalating division between “us” and “them”. The spine-chilling rise of private security firms. The radicalisation of policies, fomenting grave polarisation within society, increasing our internal frictions and fostering the rise of the far-right and even neo-Nazis, the European equivalent of Daesh. The outbreak of populism, the vanishing of what remained of our common European identity, the strengthening of both benign and malignant strains of nationalism. 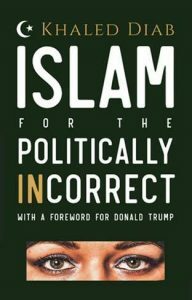 The crumbling of the masks dictated by our mostly feigned political correctness and the streamlining of both racism and xenophobia. The triumph of reflexes over reflection. The dehumanisation of refugees, who have left their ransacked homes fleeing the exact same demonic violence Europe had first faced in Madrid, then in London, then Paris and now Brussels. Above all, the dehumanisation of ourselves. These developments are something to be feared at least as much as the next terrorist attacks, which are at this point inevitable. We should be at least as afraid of these developments as we should be afraid of the thunderous silence created by our lack of reflection and the by now chronic absence of critical reasoning… That awful, inexcusable silence of our ever so comfortable European minds, the silence that will ultimately enable the extremists to shriek at the highest possible frequencies. This is what the so-called Islamic State could understand as their victory. As early as 2004, the Dutch migration researcher Paul Scheffer told me that Europe is treading a dark and dangerous path. He went on to explain he felt that its grave mistake was to ignore some fundamental parts of human nature, and all under the guise of multiculturalism and tolerance. Holland was, he said, the best example of that wishful thinking with (socio-economically) limited expiry date. “We were passing each other by looking the other way so determinedly that we ended up colliding,” Scheffer opined at the time when Europe was facing its first major terrorist attack in Madrid and the Dutch film director Theo Van Gogh (the maker of Submission) was murdered in Amsterdam by a Dutch-Moroccan Muslim Mohammed Bouyeri. The idea of the functioning multicultural society was for the very first time shaken to the bones. Even a dozen years ago, Scheffer was well aware of what was likely to happen to a continent steeped in a chronic lack of reflection in the times of growing open conflicts. The tragedies were as awfully, inexcusably predictable as the future we are now facing – a future we have done virtually everything in our power to facilitate.